The recently released Sails of Glory, Galaxy Defenders and Inkognito will be also showcased, as well the latest arrivals in the WW1 and WW2 Wings of Glory lines. 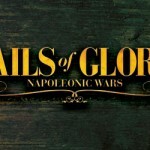 It will be also possible to see some of the upcoming releases in the Sails of Glory and Wings of Glory lines. The Battle of Five Armies is a two-players game that allows you to re-create the epic conclusion of The Hobbit, the world-renowned masterpiece by J.R.R. Tolkien. One player is in command of the Shadow armies, led by Bolg, son of Azog, the King of the Goblins of Mount Gundabad, and a second player controls the Free Peoples army, composed of Elves, Dwarves and Men. Based on the acclaimed mechanics used in the War of the Ring boardgame, the game merges action dice and event cards, and the system has been further enhanced by the addition of the “Fate Track” mechanic, handling the arrival of the allies and the triggering of special events. Dino Race is a new simple and fun boardgame, for 2 to 4 players, enhanced by cute painted dinosaur miniatures by Michelangelo Ricci and captivating artwork by Francesco Mattioli. Trying to save their dinosaurs from extinction, players run as fast as possible through plains, deserts, swamps and jungles while avoiding the nasty tricks of the opponents. Each player must bring his dinosaur couple to the end of the race track, scoring points when one of his dinosfinishes the race. Players also score points bringing the dino egg to safety. 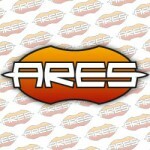 More information about Ares' new game will be available at the show. 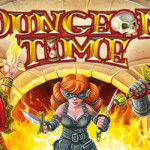 To see these games, visit Ares Games at GAMA – booth 323!